Mark is originally from Marianna, where he lives today with his wife of 30 years, 5 dogs, and 3 cats. Mark and his wife have 3 children, one of whom is working in the agency group. Their other two children are in Law School and College, both attending the University of Arkansas, Fayetteville. Mark graduted from the University of Arkansas with a degree in Finance and Insurance. He then worked for St. Paul Fire Marine Insurance Company, in various divisions: Claims, Marketing and Bond Underwriting. While employed with St. Paul, Mark worked in Oklahoma City, St. Paul Minnesota, and Little Rock Arkansas. 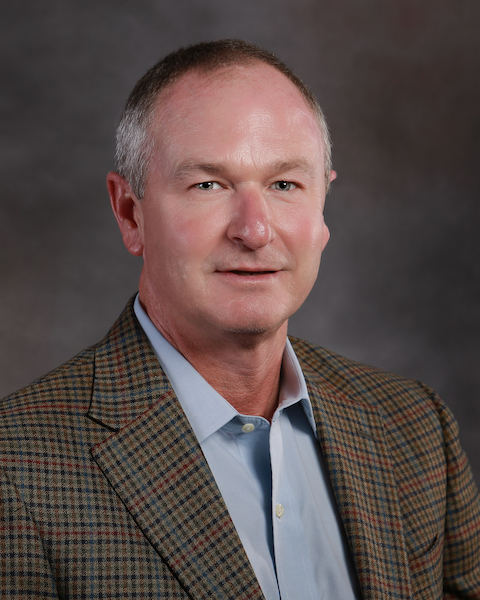 Mark was then hired by the University of Arkansas System, in Little Rock Arkansas to serve as the Director of Employee Benefits and Risk Management. While with the University of Arkansas, Mark oversaw and developed both fully insured and self-funded insurance programs which protected over 22,000 employees, 900 vehicles and $1,200,000,000 real property values. Mark then joined the family insurance agency in Marianna. The Agency has grown from one location when he returned to Marianna to the current offices we have today. Mark has been involved in both local and state volunteer endevors. Mark has served as President of the Marianna Chamber of Commerce, Marianna Rotary Club, Marianna Animal Shelter, and Chairman of the Community Foundation of Lee County. In 2006 Mark was named Citizen of the Lee by the Marianna – Lee County Chamber of Commerce. Mark has also served on the Arkansas Workforce Investment Board and the University of Arkansas Walton College Executive Forum. Within the Insurance Industry, Mark has served as President of the Indepenent Insurance Agents of Arkansas and as a National Director of Independent Insurance Agents and Brokers of America, Inc. Mark was also named as an Alan Kennedy award winner, the highest honor given by the Independent Agents of Arkansas. Mark enjoys cheering for the Arkansas Razorbacks, and any outdoor sport, including hunting and fishing. One interesting fun fact, is that Mark has been a private pilot since he was 14 years old. He actually flew by himself before he drove a car by himself. Jennifer became a licensed insurance agent in 1994. She lives in Marianna with her husband Robert and two children. Chelsea is an Arkansas native growing up in St. Francis County. She is originally from Forrest City, AR and now resides in Palestine, AR with her two children. She attended Arkansas State University where she graduated with a degree in Finance with an emphasis on banking in 2014. 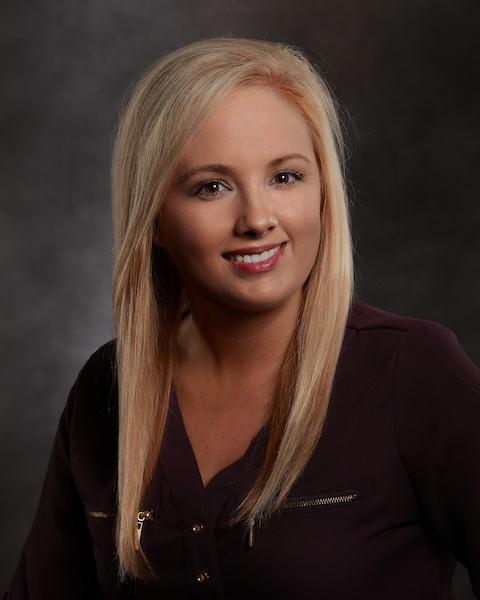 Chelsea began her career in the insurance industry in 2016. Since then, she has obtained her Certified Insurance Service Representative (CISR) designation. Drew is an Arkansas native growing up in Marianna, AR. He attended the University of Arkansas where he received his Bachelor of Science degree and was a member of the Sigma Chi fraternity. He also attended the University of Arkansas Little Rock where he received his Masters in Business Administration. 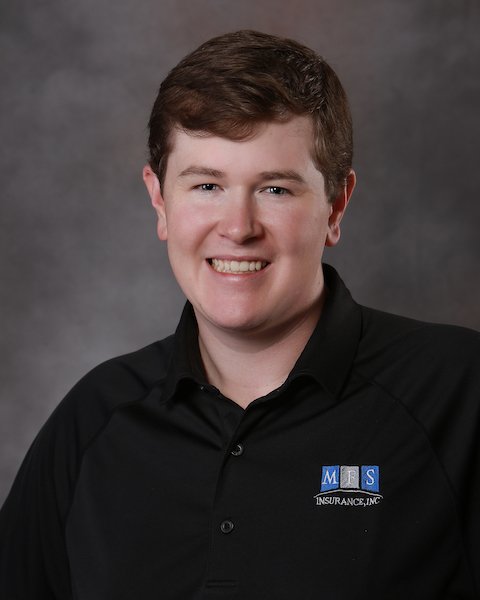 Drew has worked in the insurance industry since 2007 and worked at BancorpSouth Insurance Services in Little Rock before moving to Forrest City, AR at MFS Insurance Inc. He currently holds a CLCS designation. In 2018 Drew received the Cecil Cleavenger Memorial Young Agent's Award from the Independent Insurance Agents of Arkansas. 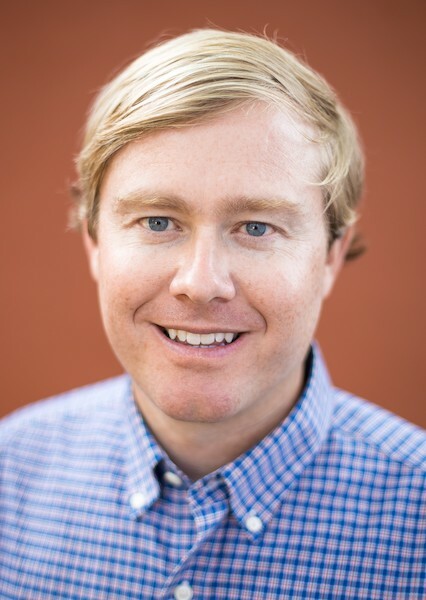 Drew is a current board member of the local Rotary, Independent Insurance Agents of Arkansas, Community Foundation, Forrest City Chamber of Commerce, Armor Bank, and the Revitalization of Downtown Forrest City. Drew enjoys spending time with his wife, Jessica, and 3 daughters. He also enjoys duck hunting, deer hunting, golfing, and has a special interest in reading on the history of the Arkansas Delta. 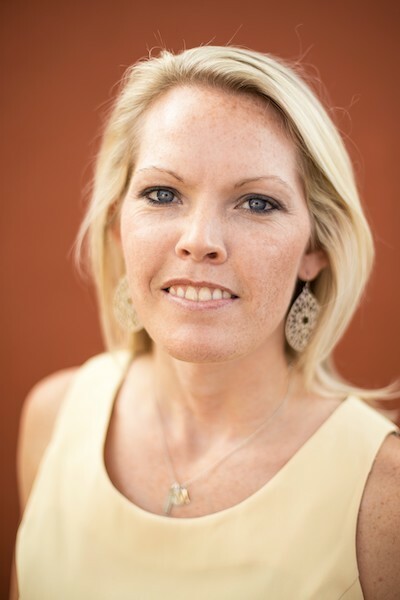 Michelle is an Arkansas native growing up in the St. Francis and Cross County areas. She is originally from Colt, AR and now resides in Wynne, AR. She attended the University of Arkansas where she was a member of the Alpha Delta Pi sorority, she also attended East Arkansas Community College, and is a 2003 College graduate of Arkansas State University where she received her Bachelor of Science degree in Psychology with a minor in Criminology. 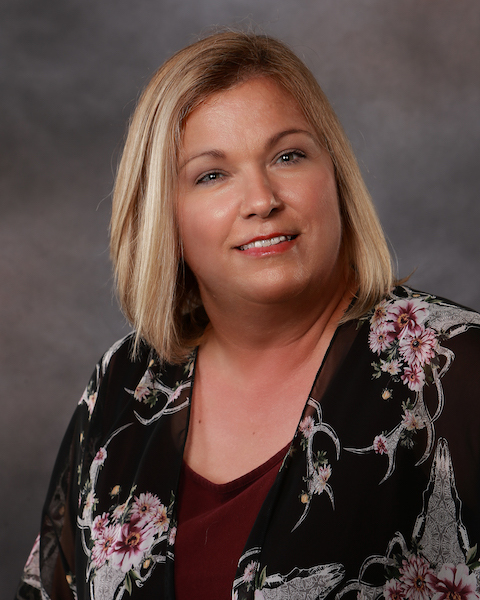 Michelle has worked in the insurance industry since 2003 and has obtained her Certified Insurance Service Representative designation (CISR) and has also obtained her Certified Insurance Counselor designation (CIC). 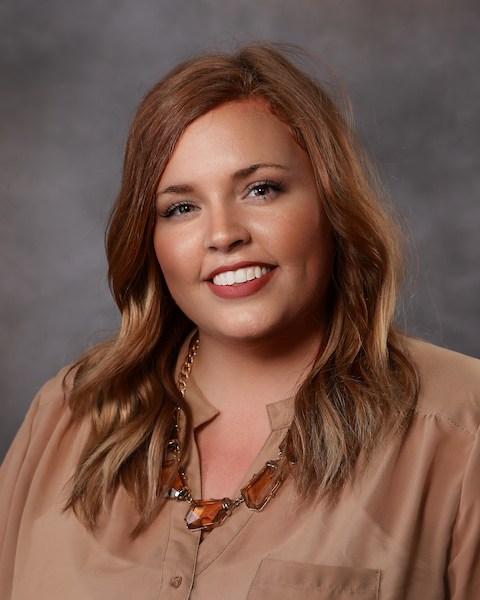 Michelle is a member of the East Arkansas Crossroads Coalition Delta Young Professionals, and she is a past member of the Forrest City Junior Auxiliary. Michelle is married to her husband, Mike, and they have 1 son, a dog and a cat. She enjoys watching high school and college softball and football. She is a Wynne Yellow Jacket and Razorback fan! She enjoys spending time outdoors with her family on their family farm, she also enjoys riding her bicycle, and is an animal lover. Dena graduated from Palestine High School in 1980. She has lived in the Palestine- Forrest City area her whole life. Dena attended East Arkansas Community College and Arkansas Tech University. She has worked in the Insurance Industry for over 20 years. Dena is married to Myron Clark for 36 years with one daughter, and one son. She has three grandkids that she loves spending her weekends playing with! Dena is a member of the Missouri Street Church of Christ in West Memphis, AR. She enjoys exercising and is an active organizer of the Women’s Arkansas Runners Group. Dena is an avid community volunteer and enjoys every minute of it! Nicky was born and raised in Arkansas County. 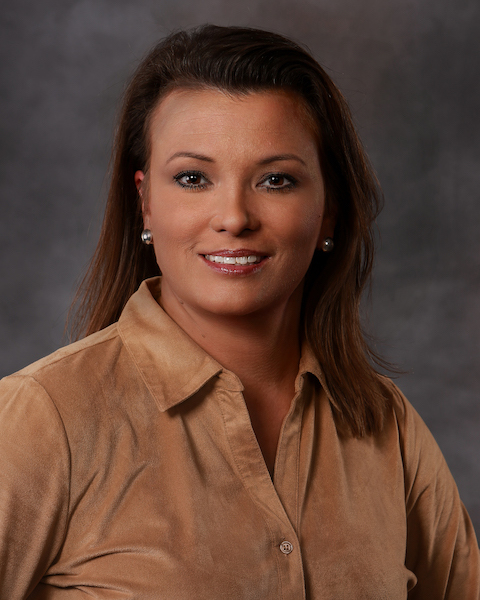 She began her career in the insurance industry and became a licensed Property & Casualty insurance agent in 2000. With almost 20 years in the business, she is well versed in all aspects of insurance but has found her niche in Commercial Truck Insurance. Nicky’s knowledge in this ever changing marketplace along with her desire to build long lasting, trusting and professional relationships with her clients makes her a great asset to our team. Nicky is the proud wife of Jared Hodges with her greatest joys and accomplishments being their four daughters (Hannah, Haley, Gracie & Kelcie). She is a member of The Lighthouse Church in Stuttgart and in her spare time, she enjoys spending time with her family and friends, working in her yard and fishing. Give Nicky a call today! 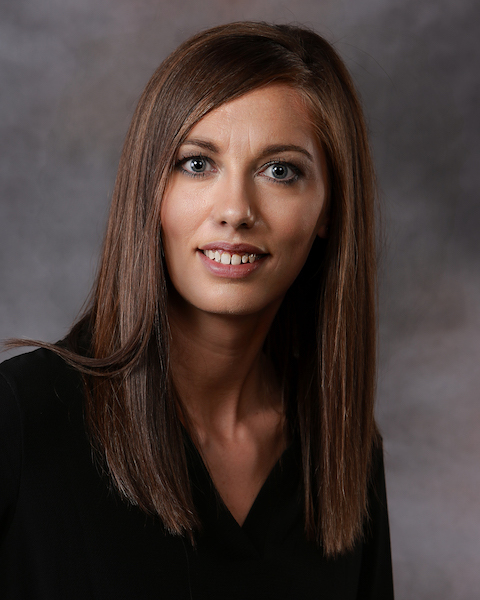 Anna has worked for the company since 2014 and enjoys selling insurance. While she was born in Illinois, she found roots in Arkansas in 2002 and has called it home since. Anna is a 2008 graduate of Bald Knob High School. She married her husband, Cruise, in 2015 and they reside in Ulm with their Chocolate Lab, Basset Hound and Labradoodle. Anna is a singer/songwriter/guitar player and enjoys spending time with her husband, family and friends every chance she gets. Deana has worked in the insurance industry since February 2017 and obtained her Insurance License in August 2017. Deana is an Arkansas native growing up in Arkansas County. She is originally from Stuttgart, AR and now resides in Humphrey, AR. She attended Phillips Community College of the University of Arkansas where she received her Associates of Applied Science degree in Business Office technology. Deana is married to Jason and they have 3 daughters ages 18, 12 and 9. She loves watching her 12-year-old daughter play travel softball. Anna also enjoys fishing, hunting and watching Razorback football & softball with her family. William is an Arkansas native growing up in Marianna, AR. He attended the University of Arkansas where he was a member of the Sigma Chi Fraternity. William received his Bachelor of Science in Finance with a minor in Marketing. William is a third generation insurance agent following in the footsteps of his father and grandfather. William joined Smith & Company in 2017 and currently hold a CLCS designation. William currently resides in Stuttgart and enjoys duck hunting, deer hunting, fishing, and golfing in his spare time as well as cheering on the Razorbacks! Brittany Kirkdoffer is a native of Stuttgart, Arkansas. She has worked in the insurance industry since 2012. She obtained her Property and Casual Insurance license in 2012. She is active at The Lighthouse Church and is a member of Holy Rosary PTO. Brittany is married to Tillmen and they have two sons. 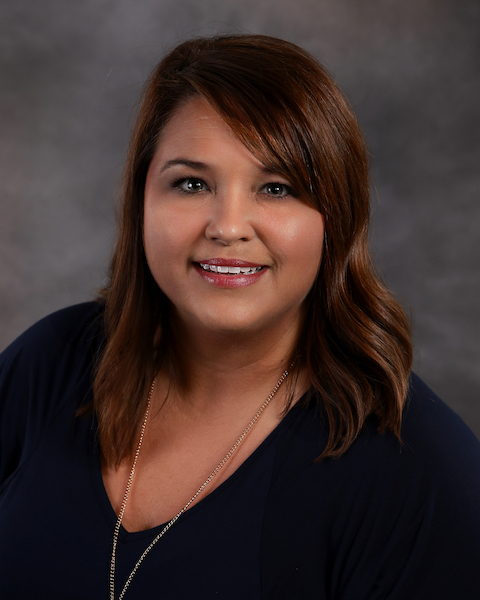 During her free time, Brittany enjoys shopping, decorating, and spending time with her family including traveling across the state to watch her oldest son play baseball. Jane grew up an “Army Brat” living in multiple states and abroad. Eventually settling in Arkansas after her father retired from the military. She received a diploma from the Rice Belt Vocational Technical School majoring in bookkeeping and secretarial studies. Her interest in the insurance industry started while employed as clerical support at the local Farm Bureau. She later married Jim Rogers, President/Owner of Smith & Company Insurance in 1992. She began working for Smith & Company in the capacity of support staff. 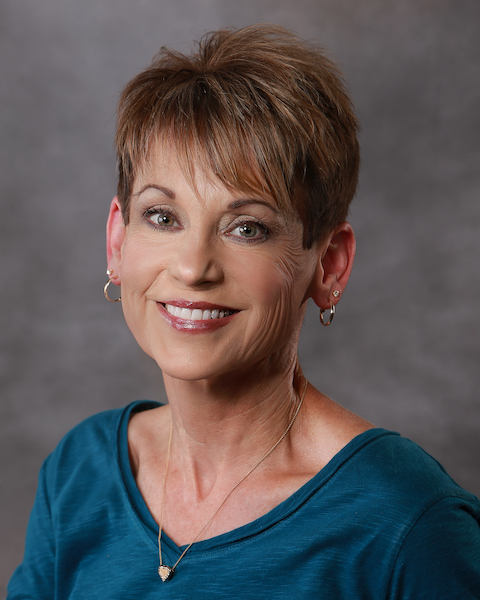 As a result, Jane learned all facets of the business including accounting, claim processing and handling, personal and commercial lines of insurance. Although Jim passed away in 2007; Jane continues to service the insurance needs for Smith & Company’s clients. “I cannot imagine doing anything else.” Jane enjoys exercising, reading and deer hunting. 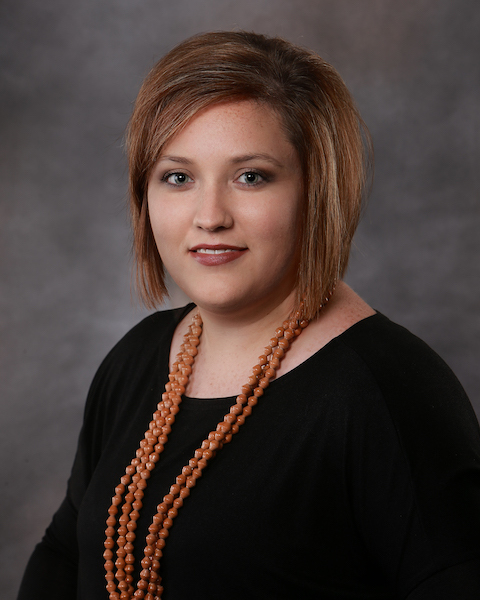 Krystal entered the insurance industry in 2011 with The Jacobs Company of Stuttgart before moving to Smith & Company in 2015. Krystal attended Arkansas State University in Jonesboro. Krystal is an Arkansas County native, residing in the Humphrey area with her husband, Chandler, 2 daughters and 1 son. 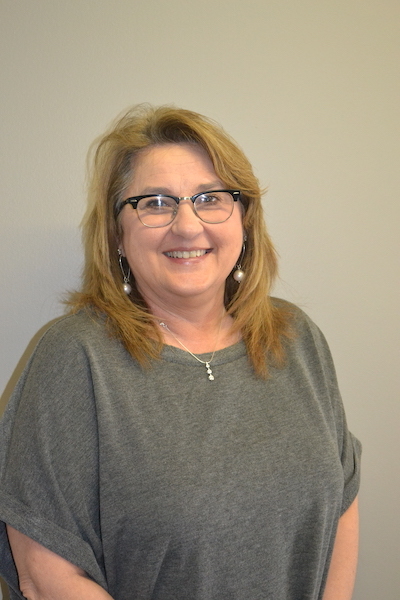 She enjoys watching her children participate in sports and pageants, and spending time with family at Greer’s Ferry Lake.